If you’re looking to dedicate yourself to triathlon over all other parts of your life, you should probably pick someone who will push you to your very limits with an agressive training schedule. But if you want to improve your triathlon abilities and keep it part of a healthy, balanced life, Triathlon Lifestyle Coaching understands your needs! Brian offers customized, personal attention that no one else does. He takes a personal interest in you as a person--wanting to learn what inspires and motivates you, and helping you exploit your strengths and strengthen your weaknesses. Too much of anything—training and triathlon included—isn’t a great thing. Being an athlete doesn’t have to mean eating celery and waking at 5 am. You can set lofty goals and still have a social life, hold a full-time job, and enjoy your family. Great run form is key to staying injury free. A lot of triathletes go through life exhausted by thinking that riding an extra 50 miles or swimming another 3000 meters will change everything. There’s a better way. We’ll show you training techniques that will make you faster without wearing you out. Following an off-the-shelf plan will probably waste a lot of your time because it's not tailored to your needs. We'll customize your training to meet your needs and your lifestyle. You're not a pro triathlete. Why train yourself into misery? Workouts that are fun make you look forward to each training session--not dread some killer workout that requires 110% each time. We'll show you workouts enjoyable to you—whether you like scenic routes, social workouts, or powering on a treadmill with your Ipod blasting. Modest but consistent gains are the best way to get fast over the long term. An over-agressive plan that injures you will set you back months. The killer track workout that sends you into dry heaves will whip you into shape quickly—but it also might injure you. A lot of triathletes give up the sport after a couple of years of intense training. Maybe they get injured, or get tired of not having a social life. There’s a better way. We've found that those who enjoy the triathlon lifestyle stay healthy, have fun, make new friends, and make the sport part of an all-around balanced life. We'll show you how. Many triathletes in their 60s beat people half their age. They’ve taken the lifelong approach to being an athlete—it’s one that we support. Brian's endurance-sports background started with a couple of decades roaming the Montana and Colorado wilderness. Mountain climbing, whitewater canoeing, mountain biking, and weeks-long backcountry trips taught him how to persevere in tough conditions, for the long haul. And leading those trips gave him the patience and awareness to help others on their journeys. He then coached run and triathletes in San Diego for seven years before moving the business to Zurich, Switzerland with his family. His expert coaching has helped countless athletes reach their goals--whehter that's simply running gracefully and injury free, setting a PR at a half marathon, or qualifying for Kona. Listen to and understand unique, complex situations. Offer creative solutions that meet your goals. Analyze everything, from minute details to the big picture. Give unique insights that others miss. He can help you organize your days and weeks to find a healthy balance between training and the rest of your life. 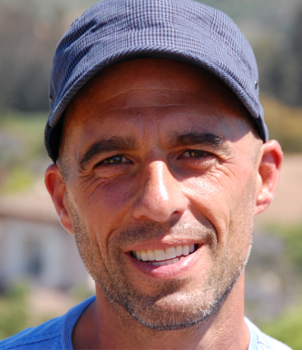 Brian taught himself running and triathlon by immersing himself in it. He's trained with and learned from elite athletes. He's learned from a million mistakes. And he's studied in-depth every topic important to triathlon. But most importantly, what he does works. Whether you're an accomplished athlete looking to do your first Ironman, a pure beginner hoping to learn the ropes, or a top age-grouper looking to break through plateaus, Brian will help you meet your goals. 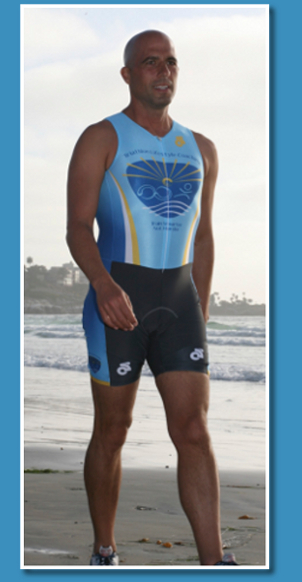 See the Testimonials page for what others have to say, and read this interview from the Tri Club of San Diego.